Straight salawar suits are beautiful and something new so you may be a new trendsetter in your family and friends. These suits come in different fabrics like silk, cotton, brasso, pashmian and georgette. You can choose them with colors like red, green, yellow, white and maroon. You can wear them at casual events and party or wedding also. LadyBaazar have straight salwar suits online to buy with easy shopping at few clicks. At one click you can browse them by fabrics and colors. You don't need to go to any boutique. 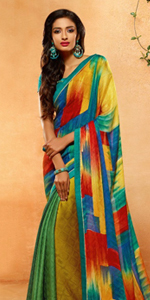 Just order and provide your measurement and get a readymade straight salwar suit at your doorstep. Wherever you are, we deliver worldwide at affordable shipping cost. We offers free shipping orders above $400.